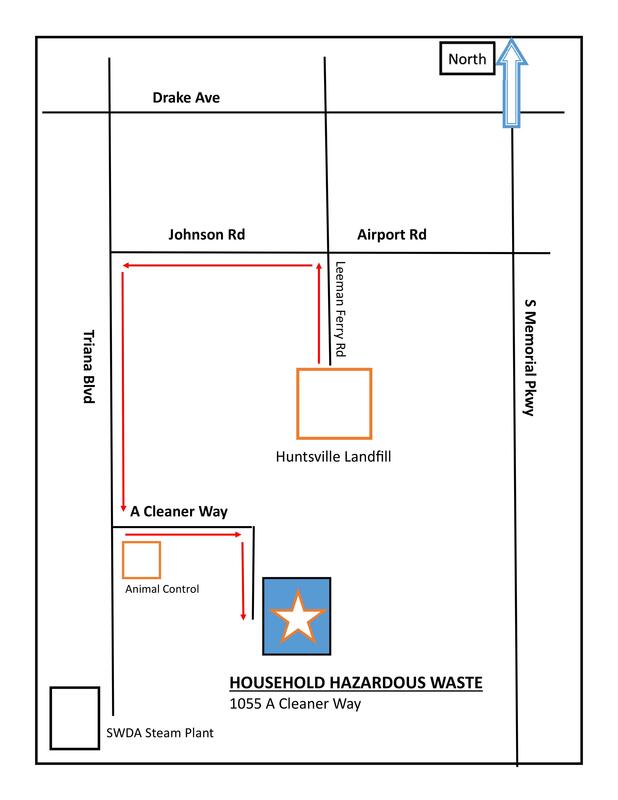 HUNTSVILLE, Ala. - The Huntsville Solid Waste Disposal Authority opened a new building, called the Huntsville Household Hazardous Waste Facility, where you can drop off hazardous waste materials at a convenient time for you. Residents of Madison County have been used to the "First Saturday Drop-off" where you could get rid of items that you can't throw away or recycle, but all of that could be changing soon. Instead of dropping items off once a month after waiting in a long line, you can choose the best day and time to drop them off when it's convenient for you. The brand new facility opened on Monday, April 15 and has already had several residents drop off their materials. SWDA Executive Director Doc Holladay says by expanding their service, they are able to reach more residents. "We think that being more accessible," says Holladay, "that we will be able to take things that are really harmful for the environment and get them disposed of properly, so that people that have old diesel fuel or something don't pour it out along the fence line that maybe one day contaminates ground water." You can come to the facility, without an appointment, and just drive through. They will collect all of your items from your car and dispose of them correctly, all for free. Items you can bring include paint, pesticides, motor oil, batteries, old electronics. A full list can be found on the SWDA website. The facility is located at the very end of A Cleaner Way in Huntsville. A map to the facility can be found here. It's open to the public Monday through Friday from 8 a.m. - 5 p.m. The best way to get rid of household hazardous waste, is to not collect it in the first place, says SWDA.